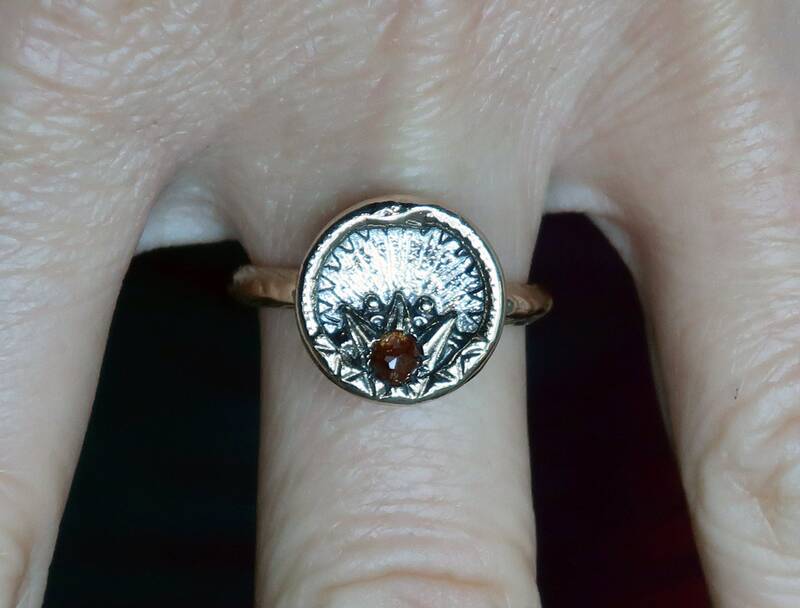 This ring is made from a cast of an Antique Parisian Button that a friend gave to me. It was so cool and unusual that I just had to have it molded so that I could make jewelry with it! 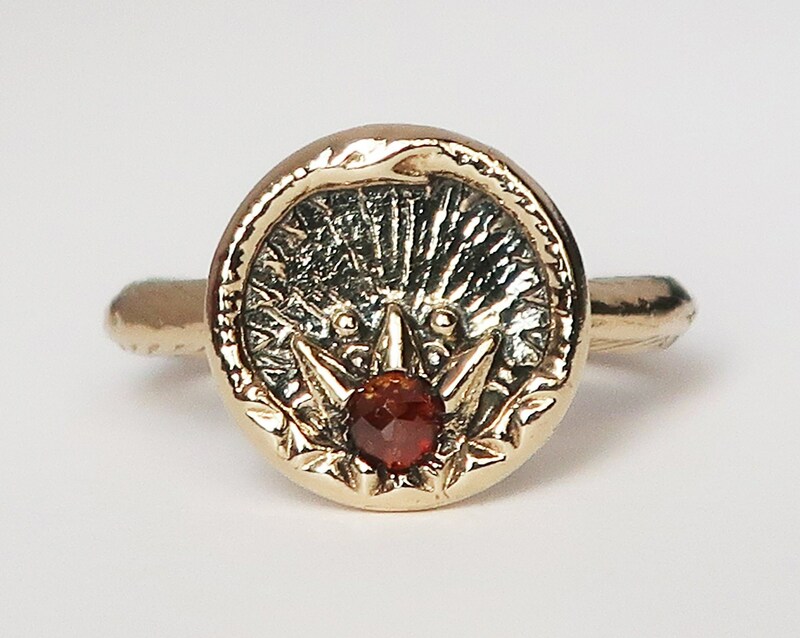 The button depicts Ouroboros circling a gem which radiates energy. On the original button, the gem is sculpted. 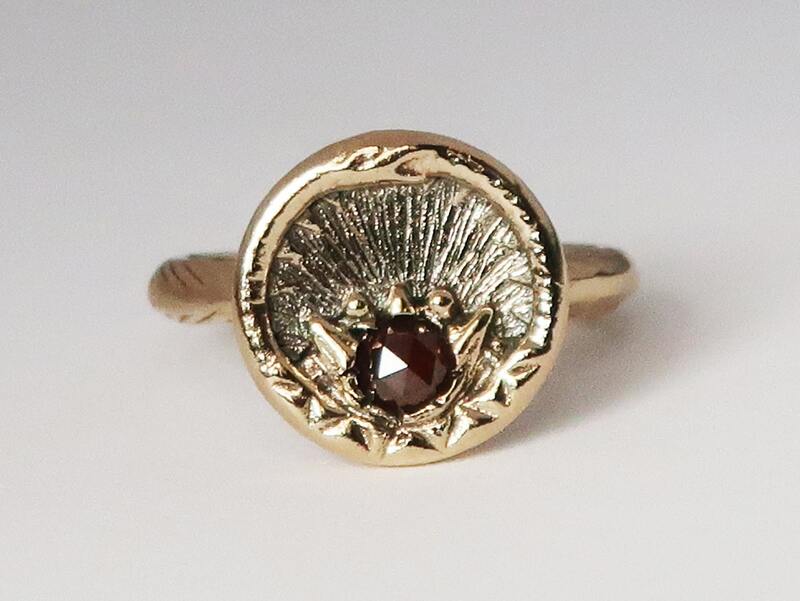 On my ring, I have replaced it with a genuine red 3mm rose cut diamond and mounted the button on a cuttlefish cast band. The cuttlefish bone has a scale-like pattern which seemed appropriate. 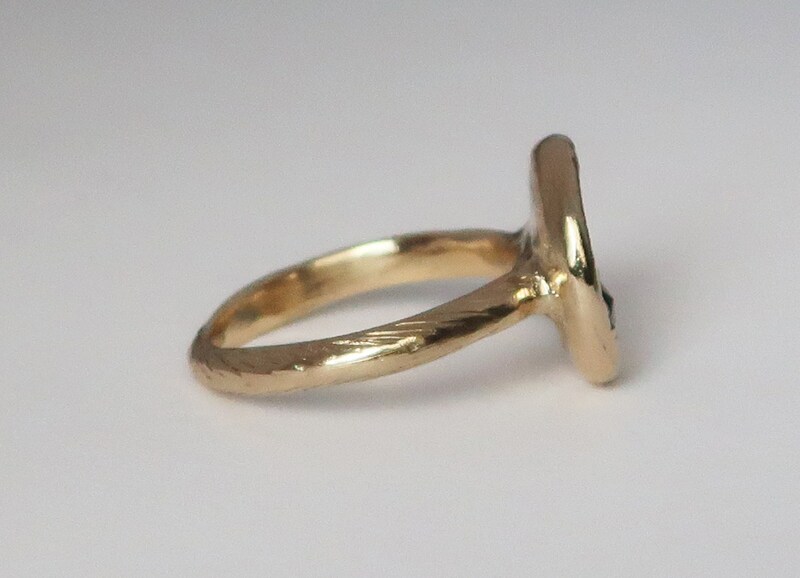 The ring in this listing is cast in solid 10k yellow gold and is a US size 7. 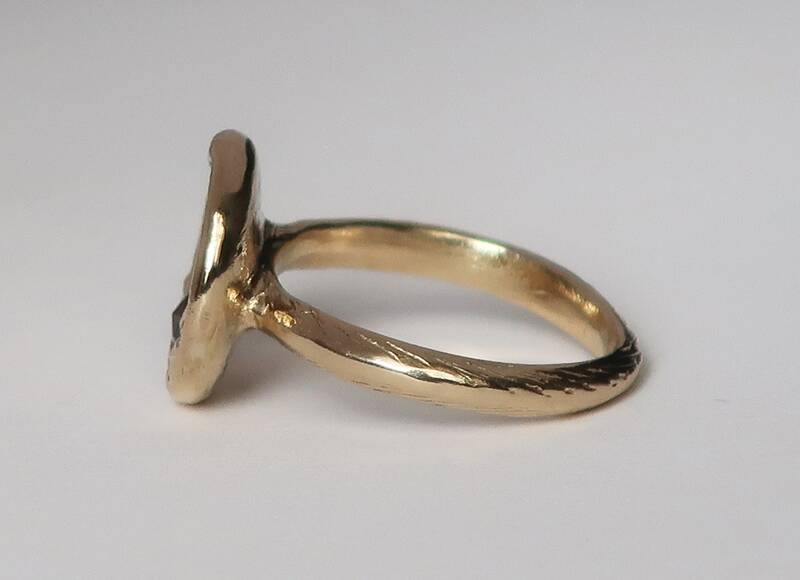 I have molded this, so if you would like a version made in a different size (sizes 5-7), gold karat/color, or with a different gem, please contact me. 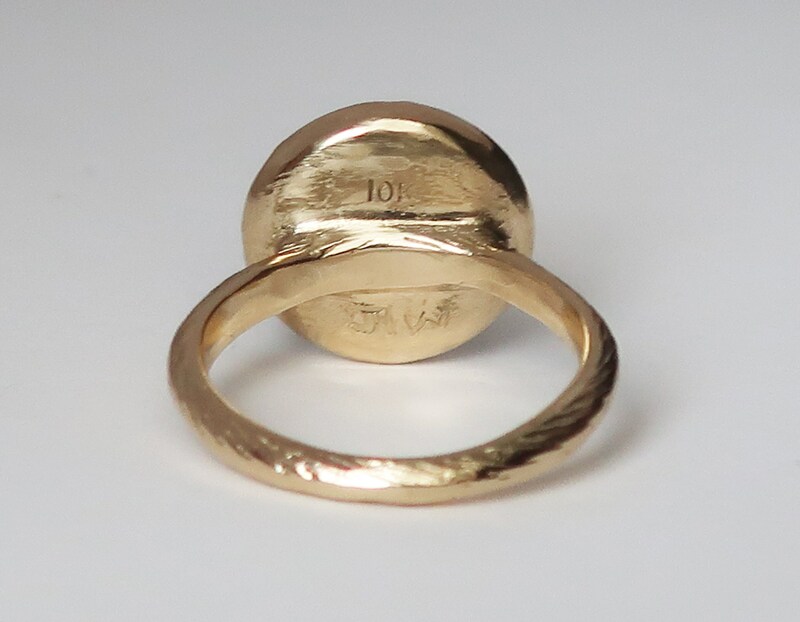 I really love this ring! To me, it symbolizes the cyclical quality of life and eternity.